TIRANA, Albania (AP) — Thousands of protesters supporting Albania's opposition surrounded the parliament building Thursday and demanded the government step down, claiming it's corrupt and has links to organized crime. 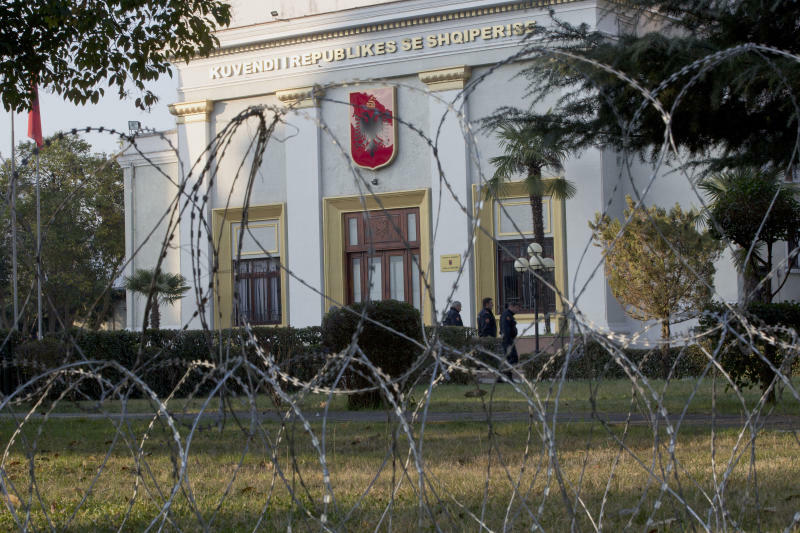 Hundreds of police and rolls of barbed wire are protecting the parliament building in downtown Tirana, the capital, from the protesters. Thursday's parliament session was cancelled and the protest ended peacefully after three hours. Opposition lawmakers, led by the center-right Democratic Party of Lulzim Basha, have signed letters of resignation from parliament and are demanding an early election. Supporters of the opposition gathered in front of the parliament building with anti-government posters and slogans. Basha invited all demonstrators to follow him to the main offices of the parliament, where he handed over the lawmakers' resignation letters. Then they moved to the party headquarters, where Basha called for nationwide protests. "We will now lead a civic, peaceful and democratic battle to restore legitimacy and democracy in Albania," Basha told The Associated Press before the start of the rally. The governing Socialists, who hold 74 seats in the 140-seat parliament, did not comment. Socialist Prime Minister Edi Rama considered the Democrats' move as "political suicide," adding their hand of cooperation and dialogue remained was always there. "This governing majority will continue the works for Albania because what happened loads us with greater accountability," he said in a 30-minute speech posted on his Facebook page. European Union foreign policy chief Federica Mogherini and Enlargement Commissioner Johannes Hahn denounced the opposition lawmakers' decision to resign as "counterproductive." They said the lawmakers "go against the democratic choice of Albanian citizens and undermine the progress the country has made on the European Union path." Albania is hoping to launch full EU membership negotiations later this year. 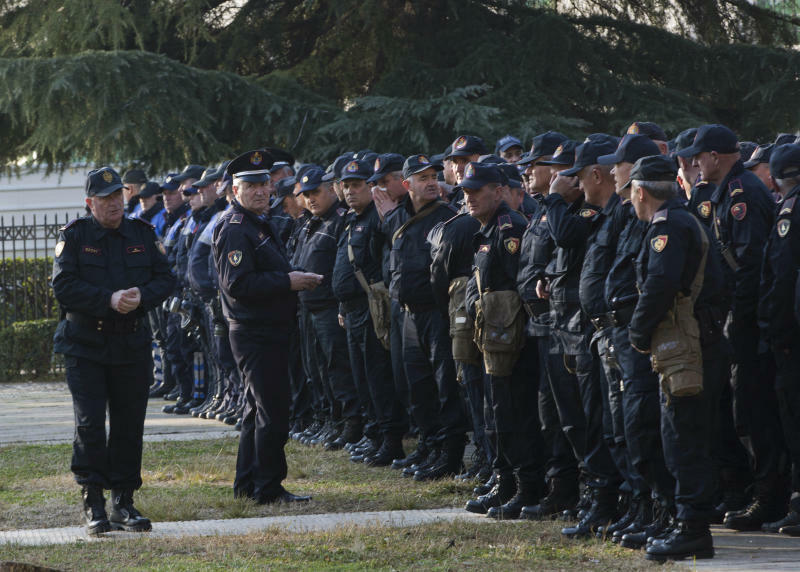 "This is an attack which may result fatal on the launch of the membership negotiations with the EU," Rama said. The U.S. embassy in Tirana urged opposition supporters "to peacefully exercise their right of assembly and reject violence" and the government "to practice restraint." At last week's rally, protesters tried to force their way into Rama's office but police used tear gas to keep them away.